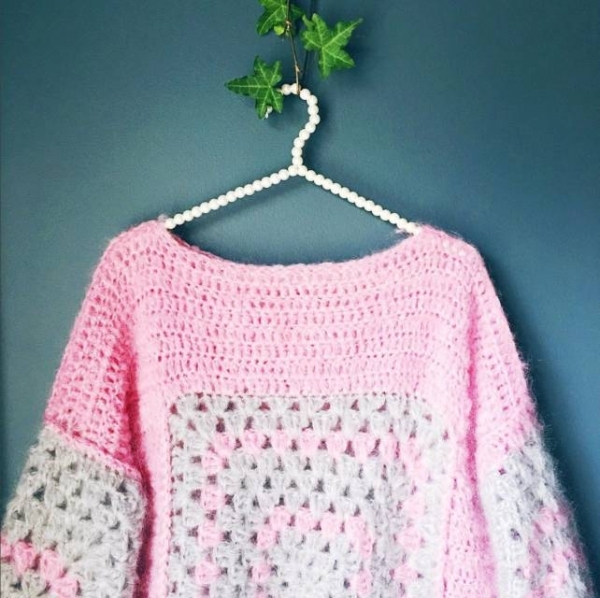 I recently shared my Wool and the Gang Rose Cardigan here on the blog. 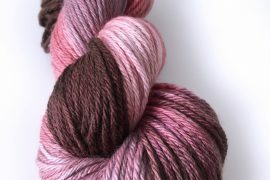 At the same time that I got the kit, I also received a couple of balls of the brand’s Take Care Mohair Yarn to try out. I enjoyed working with it and wanted to tell you more about it today. 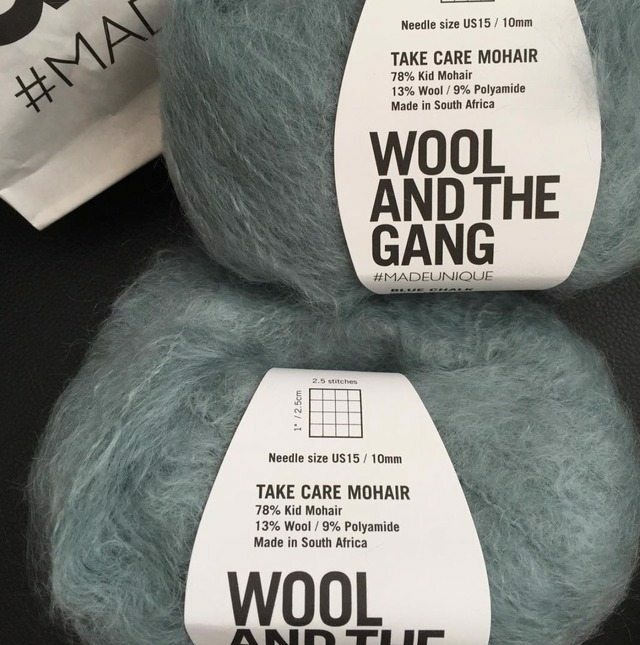 Take Care Mohair is the name of Wool and the Gang’s yarn which is a blend of 78% kid mohair, 13% wool and 9% polyamide. 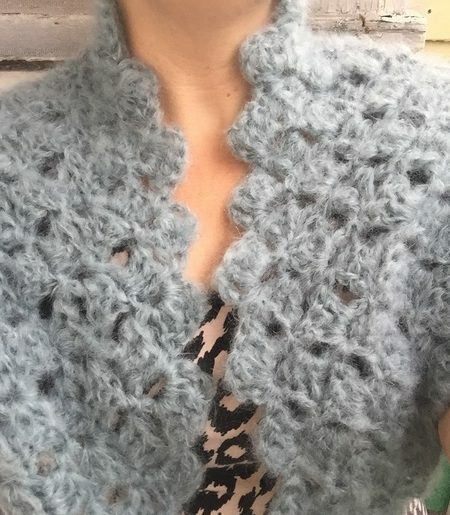 It is super soft and slightly fuzzy like a good mohair yarn should be. 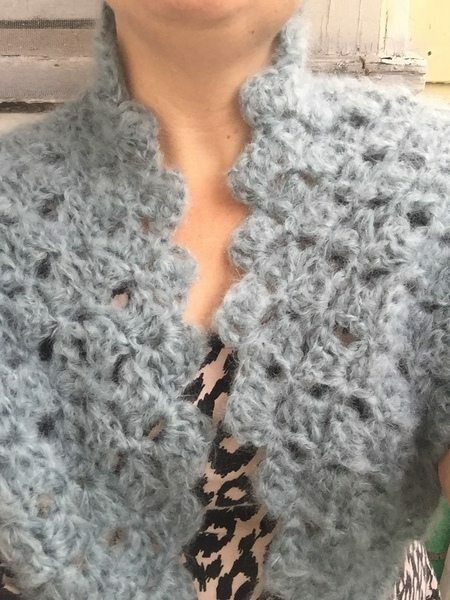 The additional fibers blended with the mohair make it easier to crochet with than 100% mohair and slightly easier to rip back (although it’s never easy to rip back mohair). I worked with the color Blue Chalk which is a beautiful light blue color with just a hint of grey in the hue. It comes in more than half a dozen different colors, some light and some bright. 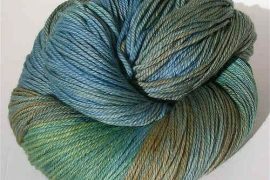 It comes in 50 gram balls that have 109 yards / 100 meters of yarn each. 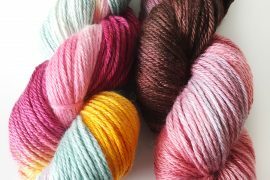 The recommended knitting needle size for Take Care Mohair is US 15 / 10 mm. This corresponds to a crochet hook size around size O-P. This is typical for a bulky or super bulky weight yarn. The yarn itself doesn’t feel that thick and is very light thanks to the mohair fiber. I chose to work with a smaller hook size (J) and could have gone as small as G comfortably although obviously the larger hooks provide greater drape for this fiber. It took me a few tries to figure out the stitch that would look best with this yarn. I knew that I didn’t want something short and dense (such as single crochet) but rather something taller with a more open design. However, I didn’t want to go the route of going super lacy either. I opted for working corner-to-corner crochet. (Technically that term refers to a process of both increasing and decreasing, from one corner to another, to create square. In this case, I increased only to create a triangle. This is also called diagonal box crochet.) I love the way that it turned out. 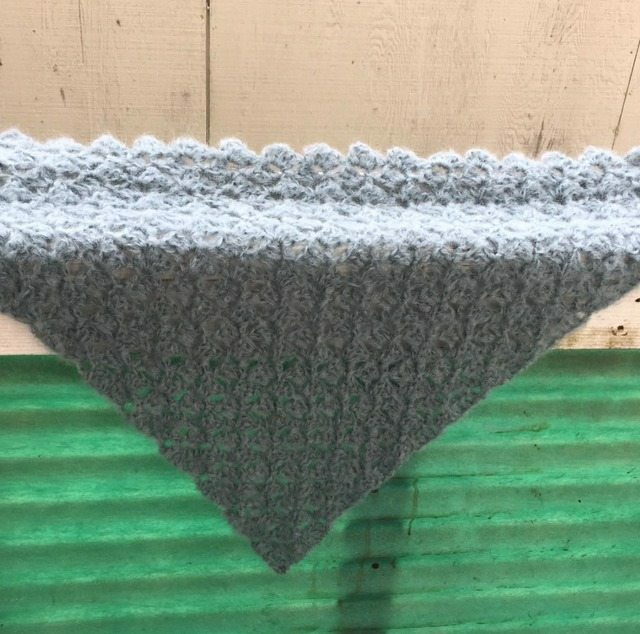 I used two complete balls of Take Care Mohair to create a triangle that I’m able to drape around my shoulders as a cute shawlette. More balls would make a larger shawl that would also be beautiful and warm. 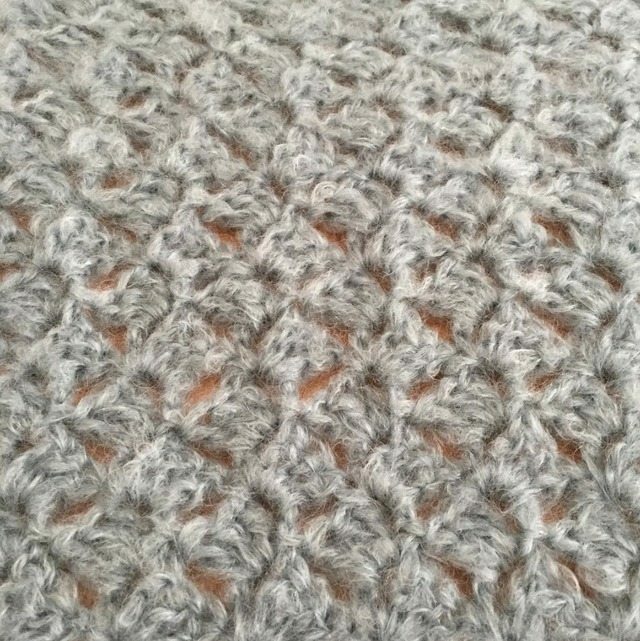 The way that this stitch works out, it creates a jagged bottom edge (long edge) that becomes a beautiful edging for the shawl so that no additional edging is necessary.